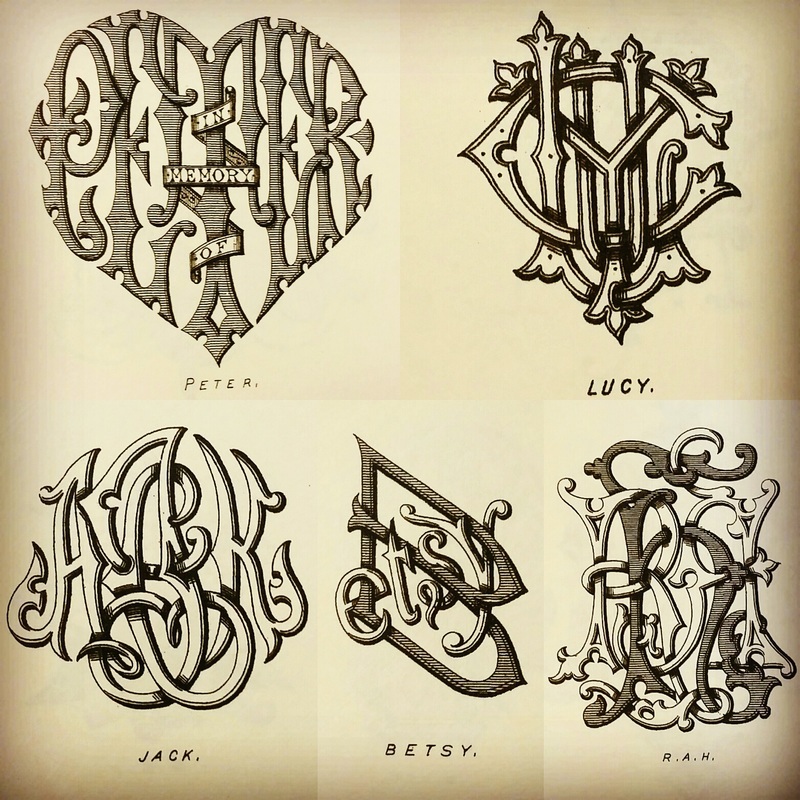 Hand engraving is an age old art form in which pieces of art are created using only a small steel graver. Gravers come in many different shapes for many different uses, the main tool being a square graver. The graver is pushed by the palm of the hand to cut through the metal and no machinery is used. 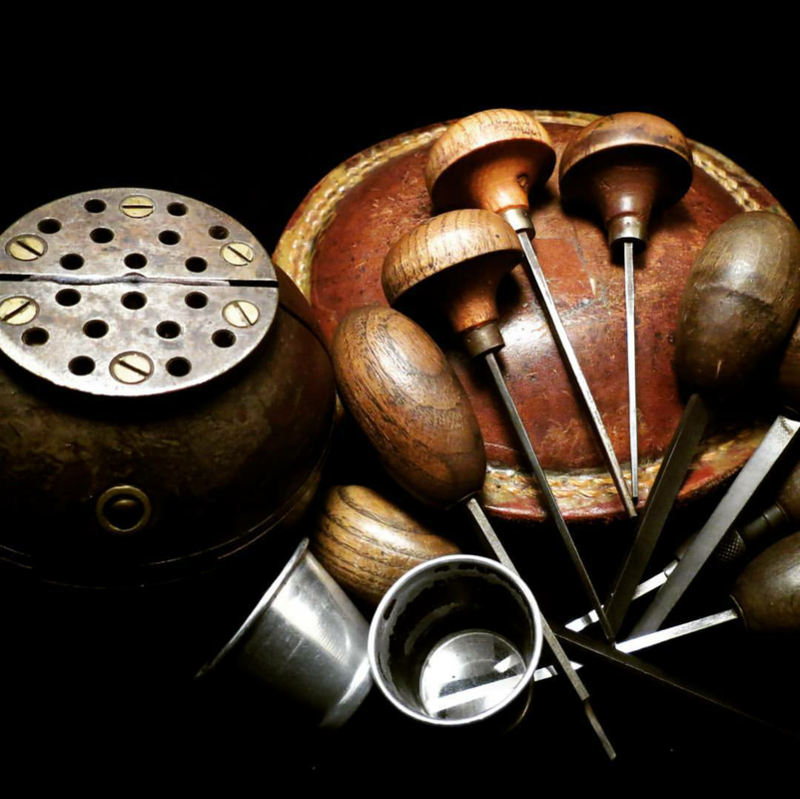 By sharpening and controlling the gravers correctly you can create complex designs which take many hours to complete. Historically hand engraving was used in printmaking - for book illustrations, newspaper prints, banknotes and map-making. 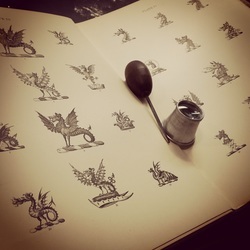 Today these are mostly produced using modern technology and hand engraving is more commonly used for jewellery, trophies, musical instruments, guns and knives. 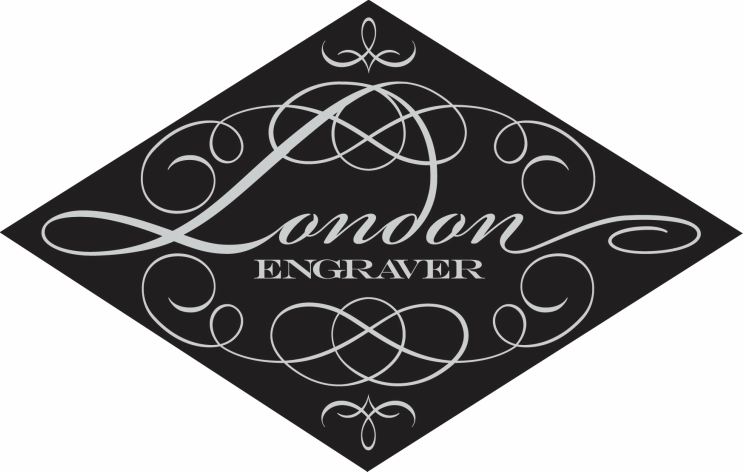 ​As technology developed, so did the graver, and many engravers now use a pneumatic air assisted hand piece instead of the old-school palm push technique. Ray engraves all precious metals using the old fashioned palm push graver pictured below, and uses an air assisted graver for working on harder metals like steel, most commonly used on watches. 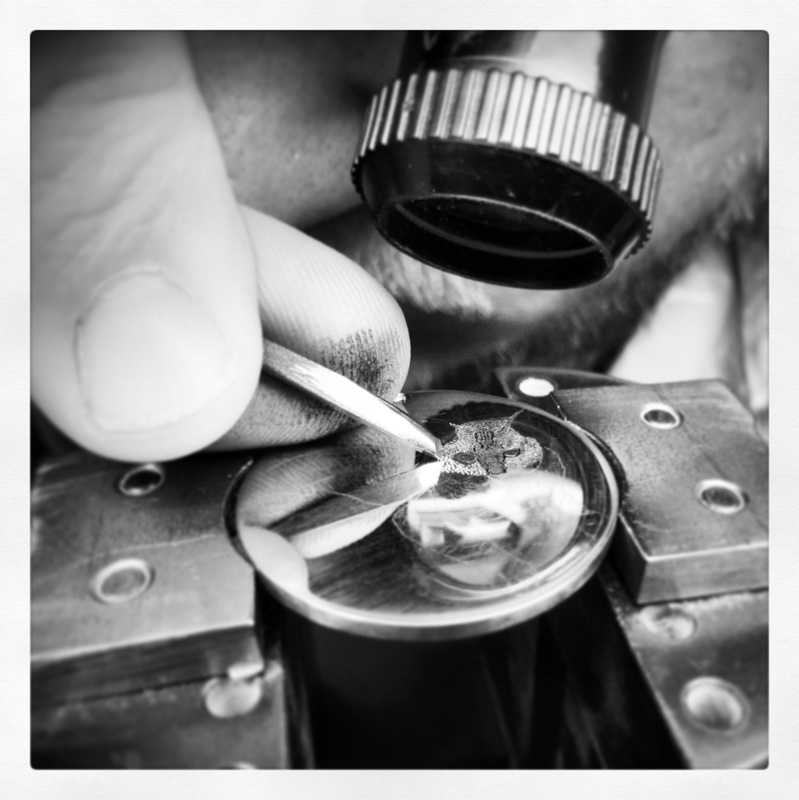 Most engravers also now use a microscope to view their work, whilst Ray still enjoys using a traditional eyeglass as it allows him to feel more engaged with his work. Ray engraves all precious metals; silver, gold and platinum, and also copper, brass, nickel and sometimes steel. ​Plated items, glass and ceramics are not suitable for hand engraving.